He's teaching others how to fix hybrid and electric cars. 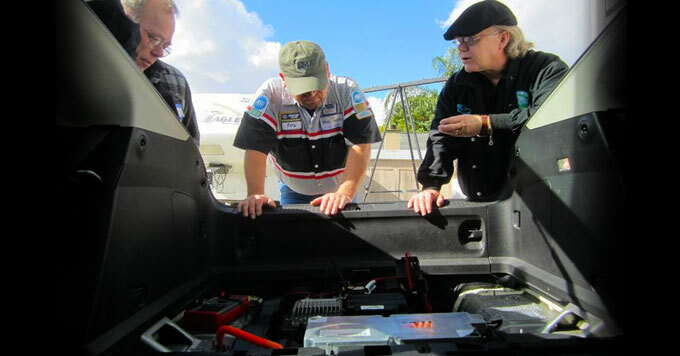 Craig Van Batenburg (right) explains to students how electric vehicle components work. Photo courtesy of Craig Van Batenburg. For 40 years, Craig Van Batenburg has owned an auto repair shop in Worcester, Massachusetts. But he’s worried about global warming, so he no longer loves gas-powered engines. He bought his first hybrid car in 1999 and never looked back – as a consumer or as a mechanic. To help technicians get up to speed, Van Batenburg started a training company that specializes in hybrid and electric cars. More than four million hybrid cars have been sold in the U.S., and electric vehicles sales are growing. So he says technicians need to learn these skills to stay current. And he believes when they do, they’ll be converts, too.